A teenager with Asperger’s (AS) or High-Functioning Autism (HFA) who lacks certain social skills will have great difficulty building a network of supportive friends and acquaintances as he grows older – and he may become socially isolated as a result. Unfortunately, one of the consequences of loneliness is an increased risk of developing emotional problems. Social skills training (SST) has been shown to be effective in treating “special needs” teens with a broad range of emotional issues. Some of the issues treated by SST professionals include shyness, adjustment disorders, anxiety disorders, ADHD, OCD, social phobia and depression. In addition, SST programs are effective in reducing an AS or HFA teen’s experiences of school failure or rejection, as well as the aggressiveness and isolation that often develop in the teen because he has ongoing problems relating to others. A specific example is the application of SST to social phobia or shyness. 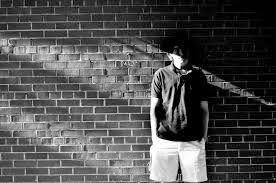 AS and HFA teens who suffer from social phobia or shyness may not understand social cues, and they may avoid specific situations in which their limitations cause embarrassment. SST can help these young people to improve their communication and social skills so that they will be able to “fit-in” with their peer-group with greater ease and self-confidence. When trainers apply SST to the treatment of symptoms associated with autism spectrum disorders, they focus on the specific social skills required to handle issues that emerge in the day-to-day life of the teen (e.g., starting a conversation, listening skills, tolerating frustration, etc.). Another example is the application of SST to depression. Many teens on the autism spectrum suffer with depression. SST can be adapted to the treatment of depression with a focus on assertiveness training. Depressed teens often benefit from learning to set limits to others, to obtain satisfaction for their own needs, and to feel more self-confident in social interactions. Research reveals that “special needs” teens who are depressed (because they tend to withdraw from others) can benefit from SST by learning to increase positive social interactions with others instead of pulling back. Do you need help parenting your Asperger's or HFA teenager? One thing to consider is probing to see if there are any peers that he likes. If so, make good friends with his peer's mother, and arrange kid swaps. With aspie kids-well, specifically my son, I noticed that he was drawn to other children who were uniquely different, and also needed help socially. The mother of his peer and I have gone to great lengths to get them together, and they both enjoy one another and have developed a great bond. I have come to terms that he will never be socially engaged like all of his peers (although everyone really likes him, he has a hard time with any attention-and gives off an almost snobby vibe). I am thankful that he has developed a friendship-and I am thankful for the friendship that I have developed with his best friend's mother. Another thing to consider is that your child may retreat from peers because of too much sensory input. Learning to deal with too much sensory input may need to happen before your child can learn to deal with social issues.